Patrick's career is just taking off in the city, and he couldn't be happier. The news of his father's passing brings a silver lining when he finds that he's left with a large mansion in a small ranching town—the perfect place to expand his business. But when Patrick meets the beautiful and fiery Rachel at the mansion, he begins to wonder if he made the right choice. 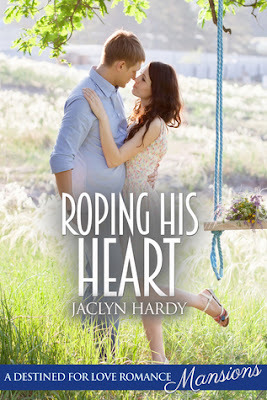 Now he must decide if his business is worth going home to, or if he's willing to leave his city life for the woman who has roped his heart. This is a sweet story of dreams that are rerouted. I could relate to Rachel's attachment to the old home and her plans for it. Her behavior to Patrick was pretty hot and cold and I didn't understand why he was placating her. She invited him to stay at her ranch, but then gave him a bit of a hard time while he was there. I think she was torn between resenting him and being attracted to him. I didn't feel much chemistry between them and was more interested in the mansion and what would end up happening to it.